Whether you’re using fresh peas from the garden or dried, split peas in the winter the procedure is the same; only the cooking time varies. 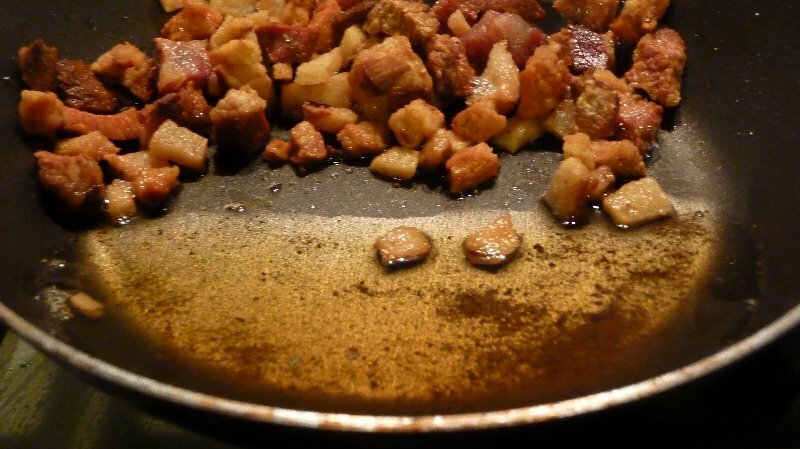 Sauté the guanciale until crisp and golden. Drain excess oil from the guanciale and set it aside for the soup topping. Sauté the onion in the olive oil until translucent. Add the peas, two cups water and salt and simmer until the peas are tender. Add more water as desired. Allow the soup to cool, then place in a blender & process until smooth and creamy. Reheat the soup and serve in bowls topped with cubed guanciale. 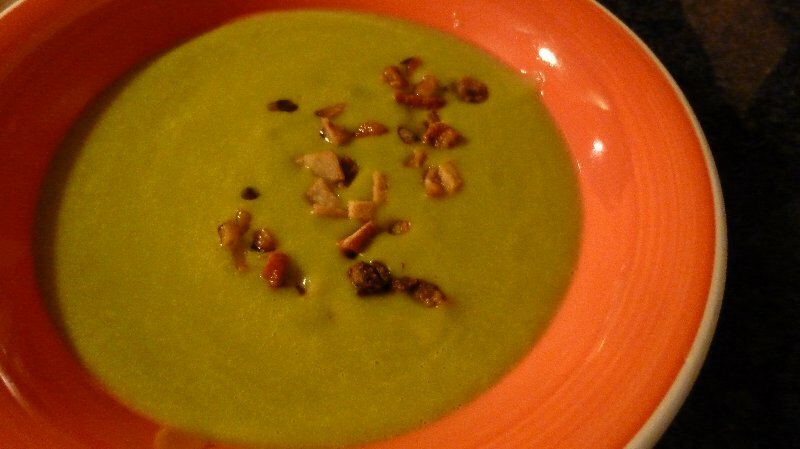 I love pea soup in the winter, and in the spring when peas are fresh and in season, and what really makes it tasty is the addition of crunchy guanciale on the top. So what exactly is guanciale and what differentiates it from pancetta? Guanciale is pork jowl or cheek: guancia is the Italian word for cheek, hence guanciale. Pancetta comes from the abdomen or belly area. 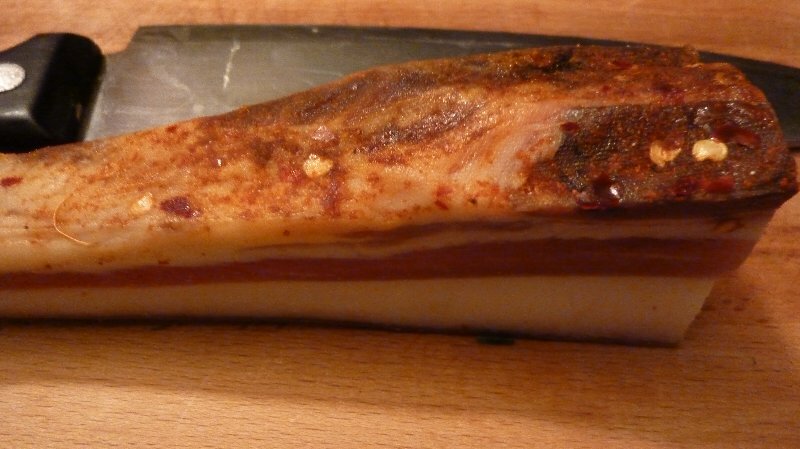 Pancia is the Italian word for abdomen, hence pancetta. 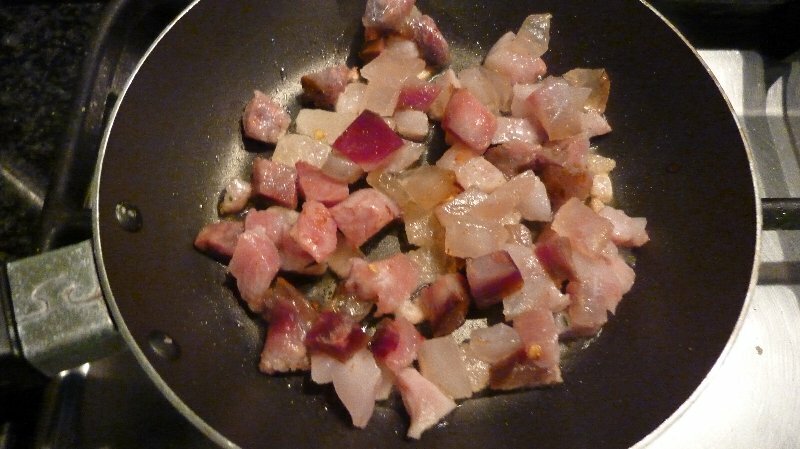 Guanciale is traditionally used to prepare some of the best Italian pasta sauces: pasta alla carbonara and pasta all’amatriciana. Both are local Roman, poor man’s dishes. The ingredients are simple but many restaurants don’t quite manage to cook the guanciale correctly. Unfortunate as it’s the magic ingredient in both of these dishes. The key is to cook the cubed or sliced guanciale slowly, over low heat until it’s golden and crisp. 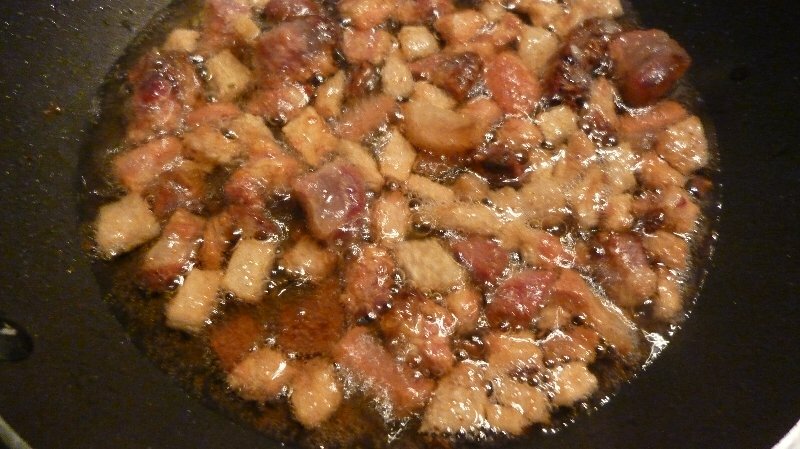 Once the cubes are nice and golden brown prop the frying pan up slightly to drain the excess fat from the guanciale cubes. Add the peas, several cups water and salt and simmer until the peas are tender. Add more water as desired.